4 days Marrakech, Merzouga, Fes. 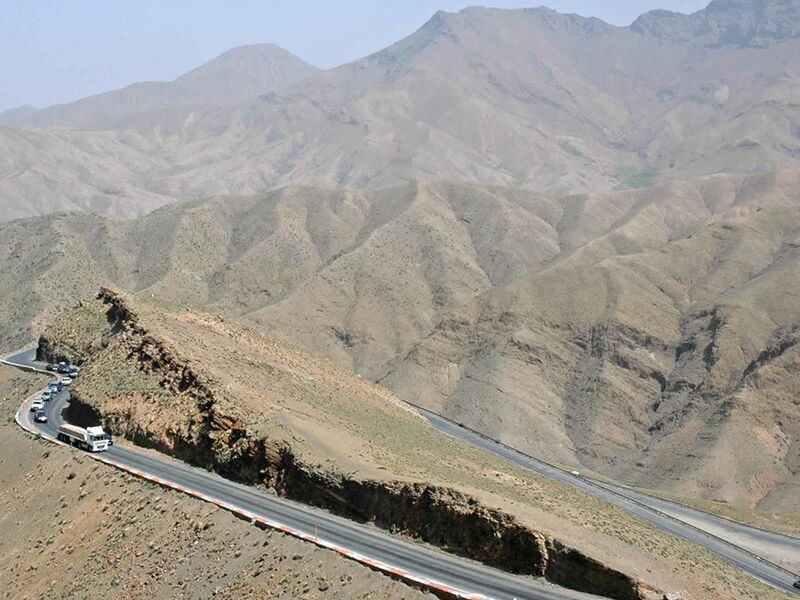 Drive through the high Atlas Mountains and Tizin Tichka. 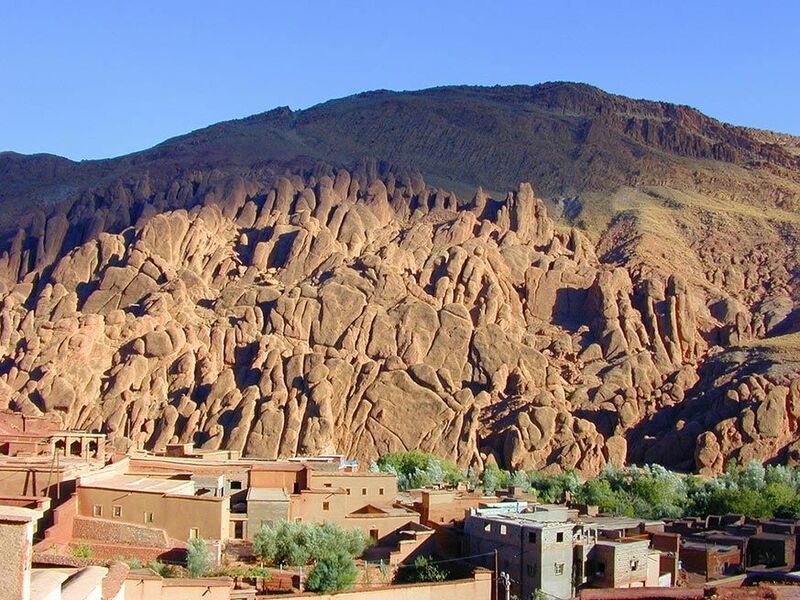 Visit Kasbah Ait ben Haddou UNESCO World Heritage . 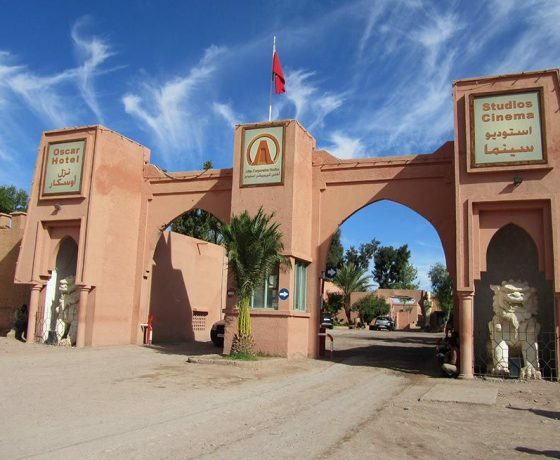 Visit Ouarzazate with its famous Kasbah and studios. 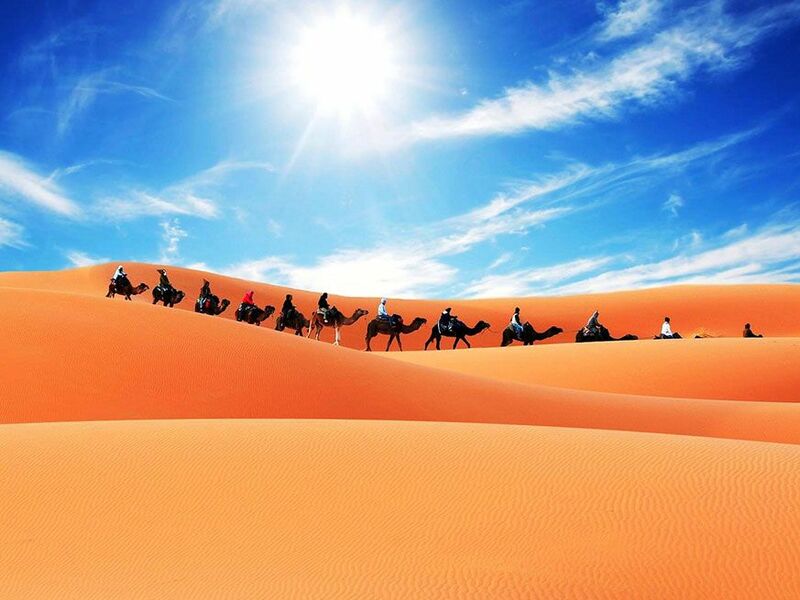 Camel rides in Zagora and Sahara Erg Chebbi dunes . Climb to Dades Valley canyons . 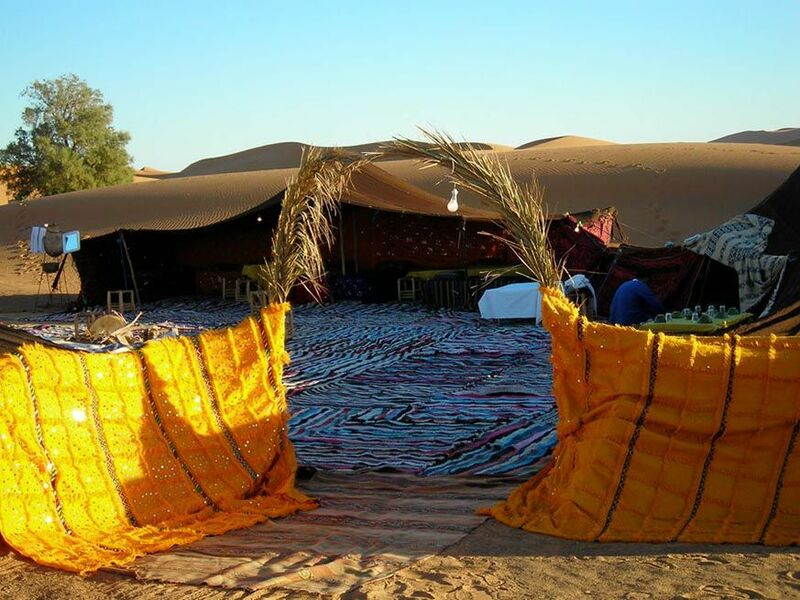 Spend night in Merzouga desert under the stars with bonfire and music entertainment. Drive to Fes through the Ziz valley and the Middle Atlas Mountains with its cedar forests . Every day there will be a departure from Marrakech for this four-day adventure in the heart of the desert. 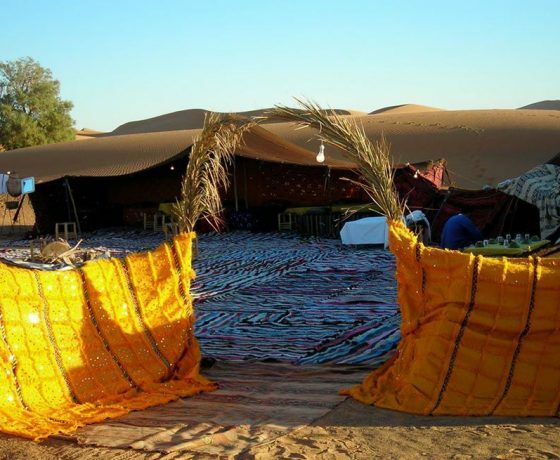 It will involve camel riding and sleeping in a Berber tent overnight, so there is an opportunity to upgrade your accommodations in Dades valley , Erg Chebbi or Zagora, should you wish for more comfort. Every day that you are out on this tour you will find each day packed with adventure and travel. 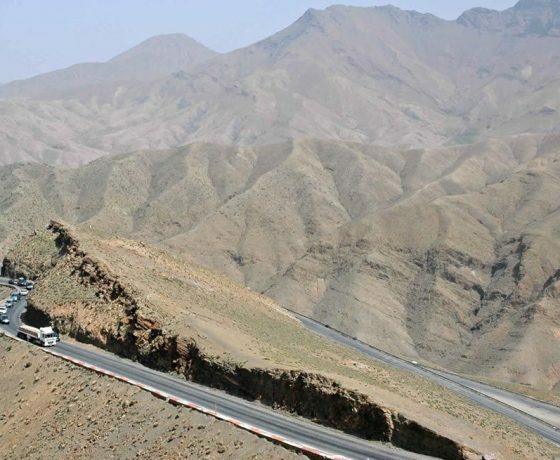 This desert tour is packed full of adventure from the outset and will include such features as the stunning drive through the High Atlas Mountains and Tizin Tichka. Driving through steep mountain passes on tight, winding and sometimes breath-taking roads is a thrill in itself. You will see all these fascinating sights from the very first day of your journey from Marrakech. 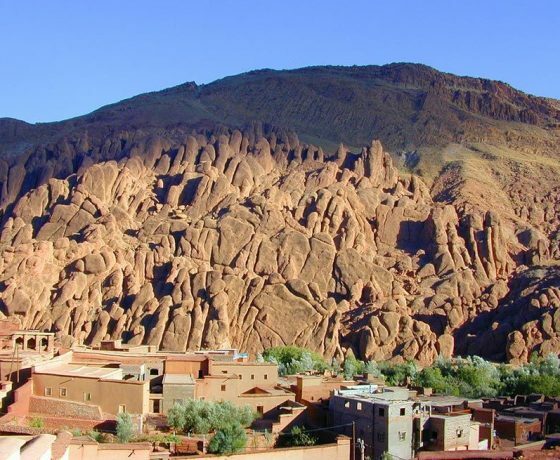 We will also have a chance to visit the Kasbah at Ait Ben Haddou – a renowned UNESCO World Heritage Site and see the magical city of Ouarzazate, often called the Hollywood of Morocco, as there are so many feature movies filmed on location here. 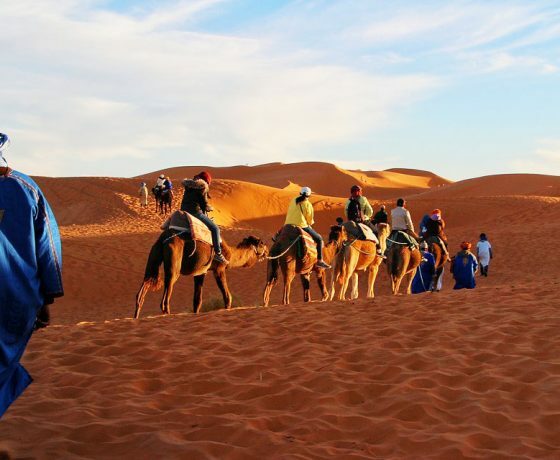 Camel riding through the sunset or sunrise is definitely an experience you won’t forget, and on this tour there will be on opportunity to ride atop this caravan of the desert on two separate locations. We move to the desert camps in Zagora and, again, at the Dunes of Erg Chebbi (in the gateway of the Sahara Desert). Departing from Marrakech on our first day and ready to leave by 8.00 am, the adventure begins in a modern, air-conditioned minibus or 4 x 4 vehicle. On this first day, our tour begins at the Kasbah at Ait Ben Haddou. 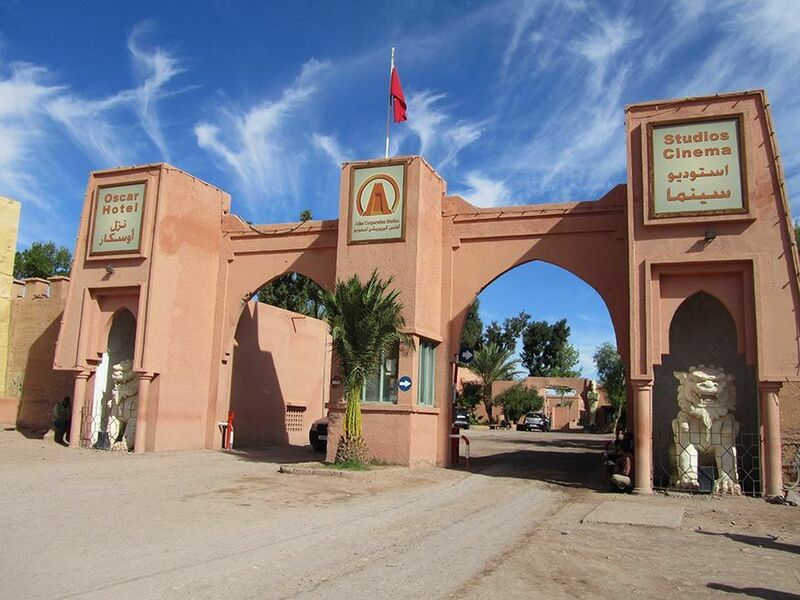 Our next stop is at the wonderful city of Ouarzazate, the place of the Moroccan film industry. We then tour into the Draa Valley. Through this winding and scenic valley we will make our way to Zagora. Arrival in this south-eastern mountainous city is in the late afternoon, where we will unwind and enjoy a little exploration before mounting the camels for our sunset trip across the dunes on the back of a camel. The Berber camp involves a bonfire, gentle Moroccan drum shows, enjoying a traditional meal before returning to your tent. You can choose to sleep under the stars, if you wish. We wake up in the desert with the nomads heating up a traditional breakfast, a beautiful sunrise coming up over the dunes and the camels getting prepared for our trek back into Zagora. Our trip continues on the Gateway to the Desert City of Ouarzazate, where we shall enjoy lunch (at any café) and take our vehicle for the next leg of our adventure into the Dades Valley. It is on our second night where we will stay in the comfort of a guesthouse with private rooms and bathrooms attached. There will be a splendid evening meal to round off this evening, so everyone will feel fresh and revived for day three. The guesthouse is in the heart of the Dades Valley, so you’ll be able to wake up surrounded by golden, sandstone and picturesque valley vistas. After breakfast our trip will take us through the picturesque Dades Valley before encountering the magnificent Todra Gorge. Exploring the sights of this beauty spot is awe-inspiring. Lunch can be taken at any café on our way to Merzouga, where the next leg of our journey goes. 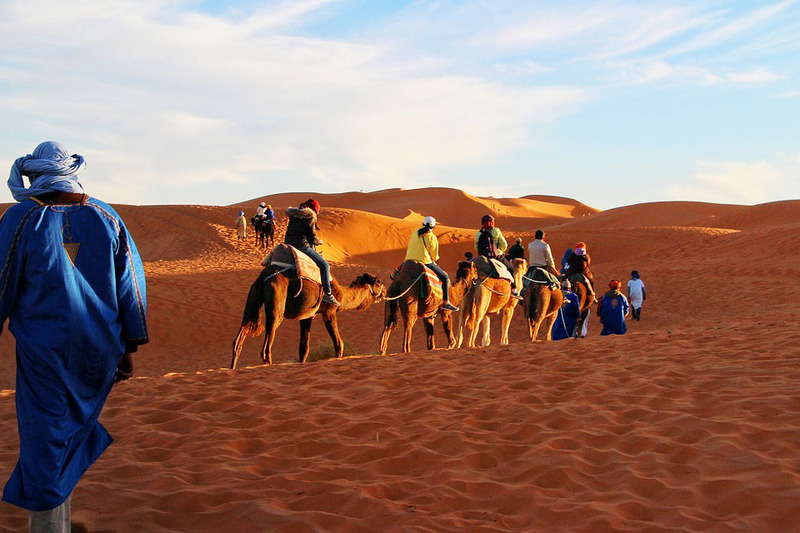 Merzouga is where we will meet up with the camels and trek through the evening sunset to our Berber camp. 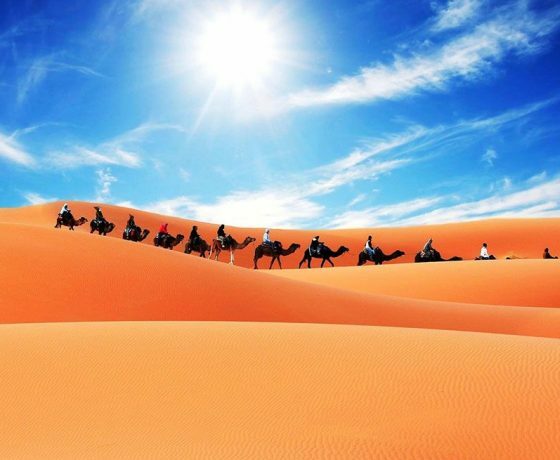 We will be taken across the magical desert that is the Dunes of Erg Chebbi; with those soft, golden sands windswept over time but effortlessly navigated by our camels. We will have an evening meal, a sleep in a Berber tent (or under the stars) and a hearty morning breakfast on our last night. The camels will transport us back to Merzouga after breakfast, along the same routs we took during sunset. On this final morning, however, you will be able to experience the rising sun over the dunes – which is every bit as exciting as the sunset. The journey to Fes is our final leg of this adventure, and it will begin with a breakfast at a hotel and an amazing drive to take you all the way to this great Saharan city. We will have lunch on the way and arrive into Fes sometime between 5.00 pm and 6.00 pm.